Book Haul Diggin' in the Gold!! This first book is one I had to buy myself. I've been hearing so much about it from my YA booksters that I had to have my own copy to find out what all the hoopala was about. I'm reading this one tomorrow and will report back asap. By the way, interesting black-background pages here and there to designate parts of the book in starbursts. Cool. 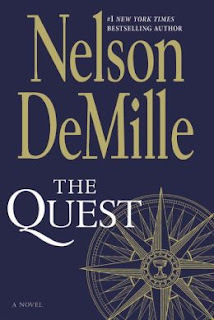 Nelson DeMille has a new book coming out in September, and the good people at Center Street/Hachette Book Group were kind enough to let me in early on it!!! So psyched!! Quick Blurb: "From the locked archives of the Vatican to the overgrown jungles of Ethiopia, an unlikely trio begins a deadly search for the Holy Grail." That may sound like an ordinary book; however, in the wily and cagey hands of Nelson DeMille, it promises to be an awesome book. Can't wait to read it. This next one sent to me by the wonderful people at Minotaur Books/St. Martins, looks to be another good read. 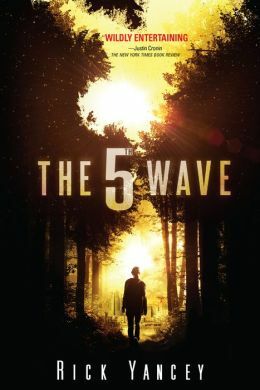 I love suspense/mystery/thrillers like this one. "In the next stunning novel from Pulitzer Prize-winning Julia Keller, following the popular A Killing in the Hills, a pregnant teenager is found murdered at the bottom of a river..."
THE FEVER TREE is a book I found in my travels this week....free library find. It's in pristine condition, hard cover, and I love the cover image. Deckled edges! So happy when I find a great book like this on a sudden search. 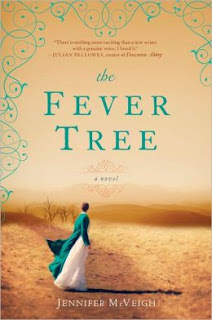 And, on the back of the book there's a quote from Hillary Jordan, author of "Mudbound," that says, "The Fever Tree" serves up all the delicious elements of a romantic classic, seasoned by evocative prose and keen moral commentary. 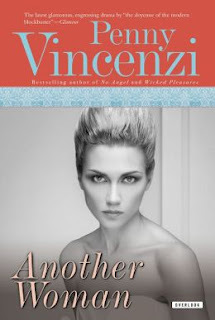 Gobble it up and then shelve it next to the Bronte sisters." Happily, a book sent kindly from Simon & Schuster: "Queen's Gambit" by Elizabeth Fremantle. Love this gorgeous cover! 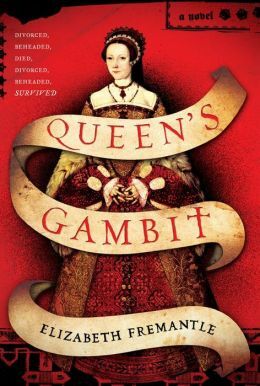 So interesting...another story about Katherine Parr, but this one looks as if it has a lot of attention to historical detail. Reviewing it and interviewing the author this coming week or so!!! Romantic story...."I'll be at Platform 4 Paddington Monday evening, and there is nothing in the world that would make me happier than if you found the courage to come with me." ...that's the back cover top section description of this book. I died. Have you ever had that happen to you, or wished you had? I can't wait to read this book. FOUND it in my Club sharing library. It's perfect. 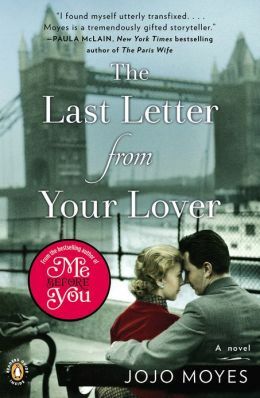 A sophisticated, page-turning double love story spanning forty years-an unforgettable Brief Encounter for our times. Quick pics and summaries of the other books I ferreted out and got free this past week. I do encourage recycling and sharing of books, as well as buying them. Anything to keep the printed word alive and well helps. Just couldn't resist getting this lovely paperback copy of the book I reviewed. I like to pass them on to my daughter. This is an awesome book!!! Martha's Vineyard, 1960's, insanity... love it!! 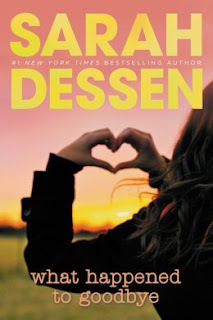 Very Unlike me...but I thought I would give this one a try because I've heard such wonderful things about Sarah Dessen. It is 1943—the height of the Second World War. With the men away at the front, Berlin has become a city of women. 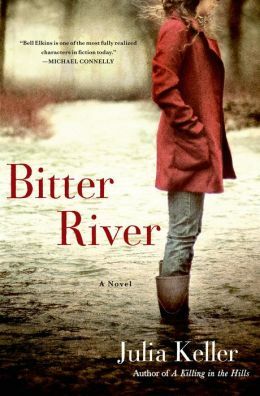 On the surface, Sigrid Schröder is the model German soldier’s wife: She goes to work every day, does as much with her rations as she can, and dutifully cares for her meddling mother-in-law, all the while ignoring the horrific immoralities of the regime. 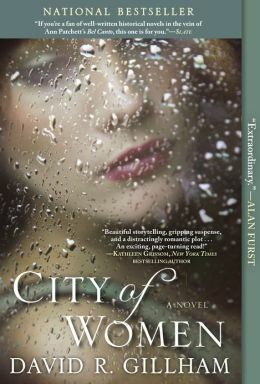 But behind this façade is an entirely different Sigrid, a woman of passion who dreams of her former Jewish lover, now lost in the chaos of the war. But Sigrid is not the only one with secrets—she soon finds herself caught between what is right and what is wrong, and what falls somewhere in the shadows between the two . . . So Ends My Book Haul for this week. I'm happily skipping amongst my book stacks. I have no more bookcase space. :] I'm tripping over books when I try to sit in my chair. My dog has to come to me between book stacks. I can hardly see my husband when I'm sitting down.....get the picture? Please let me know what you'll be reading this month. You did get quite a haul! 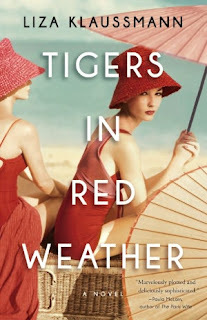 I'm excited about the new DeMille book as well!